We are currently re-decorating a Lutyens designed private estate in Hampshire. This is our largest project to date and will take us well into 2019! Applying lime-wash to the Grade 1 listed Chantry House in Henley-on-Thames. 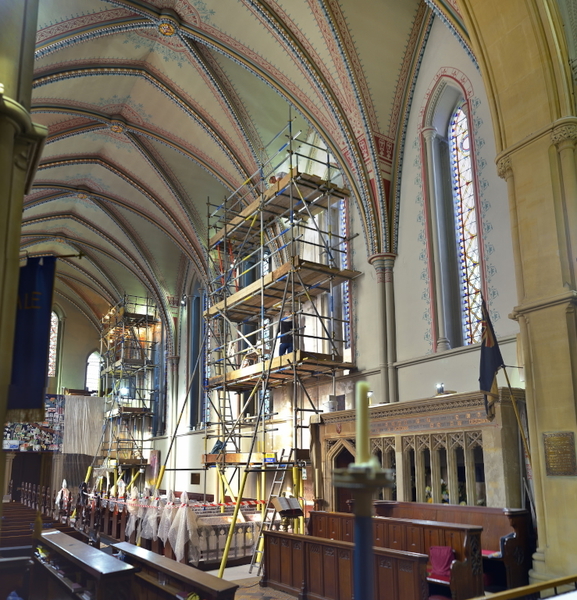 The first re-decorating since we helped with the major restoration works in 2003/4. Phase II of re-decorating the wall surfaces at Hughenden Manor was completed recently for The National Trust. The colour was chosen to match the previous scheme. The method was recorded last time the rooms were re-decorated in the 1980s. Two coats of yellow paint were applied as a background before the application of two coats of red. In 2018 we were fortunate to be asked to help with the renovation of the South Transept at Winchester Cathedral with Owlsworth IJP. Paintwork restoration to this listed National Trust property in Autumn 2017. 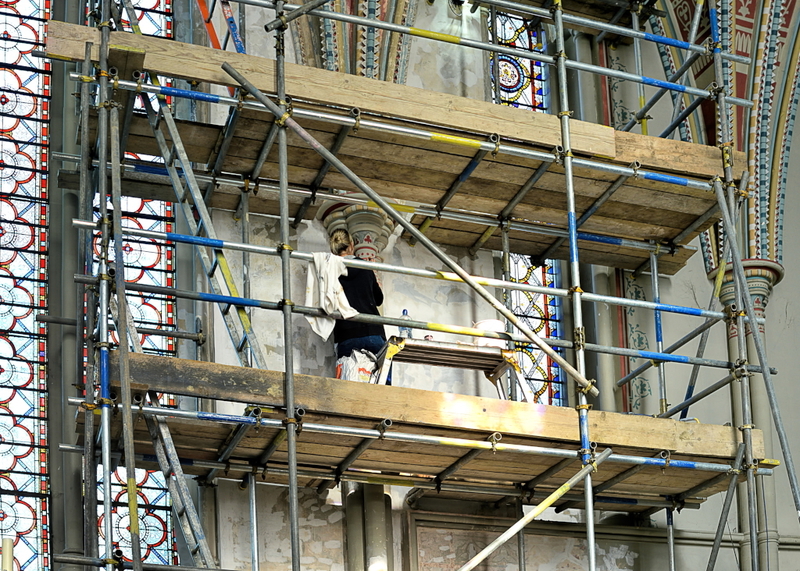 It was a privilege to be involved with the sympathetic internal restoration of The Church of St. John the Baptist, Little Missenden. We carried out the lime washing to the internal plaster walls for Ward & Co Building Conservation in Summer 2017. We carried out the full exterior re-decoration of Hall Barn House near Beaconsfield with the Jotun Demidekk Ultimate system in 2017. We were very proud to be asked to re-decorate the Music Room at Hughenden Manor for The National Trust in 2017. We used Rose Of Jericho Flat Oil Paint and Permeable Matt Emulsion. We completed this restoration work at Holy Trinity Church, Theale in Autumn 2016. The existing plaster, paint and stencils had been damaged by water ingress from over-flowing gutters. Matching the previous colour scheme proved to be the biggest challenge. Complete exterior re-decoration was completed for Ward & Co. Building Conservation as part of an extensive restoration project to this rural property in Buckinghamshire in 2016. Full exterior re-decoration and lime washing completed to two elevations of Medmenham Abbey in Buckinghamshire in summer 2016.